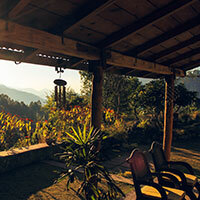 All the Gold rooms are valley facing with a beautiful view of the sunrise in the morning. 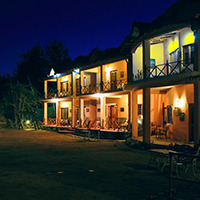 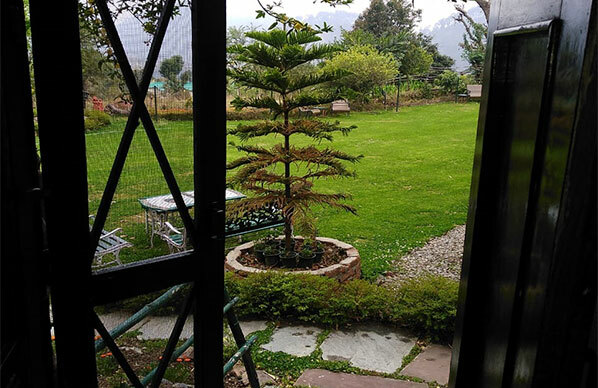 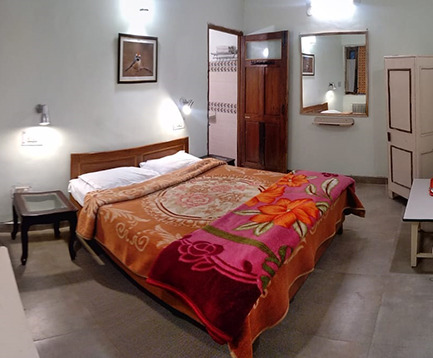 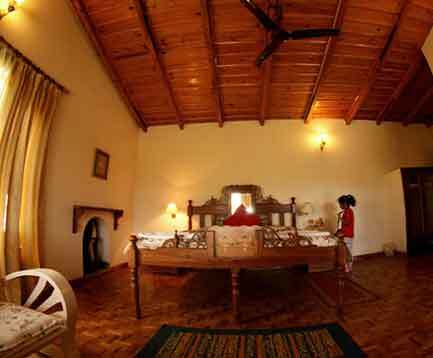 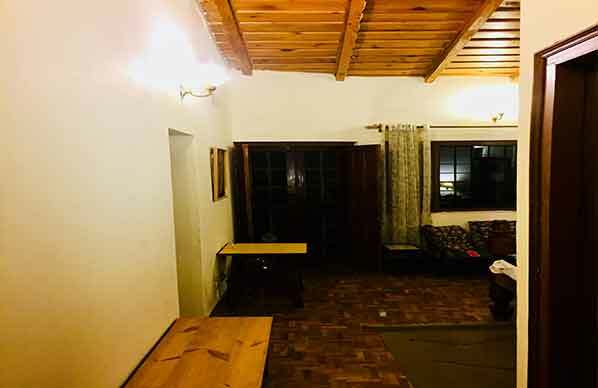 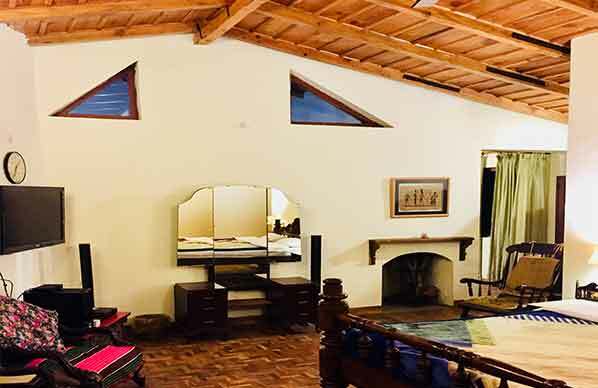 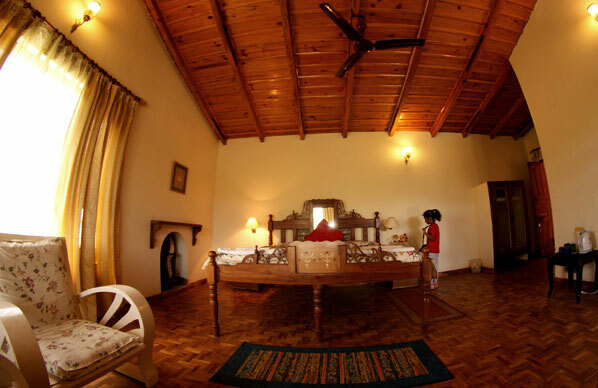 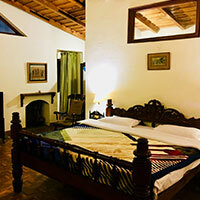 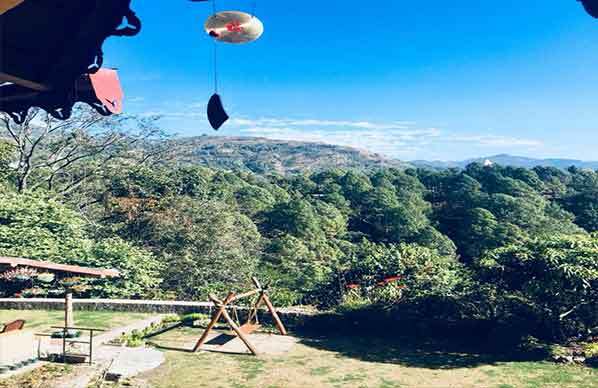 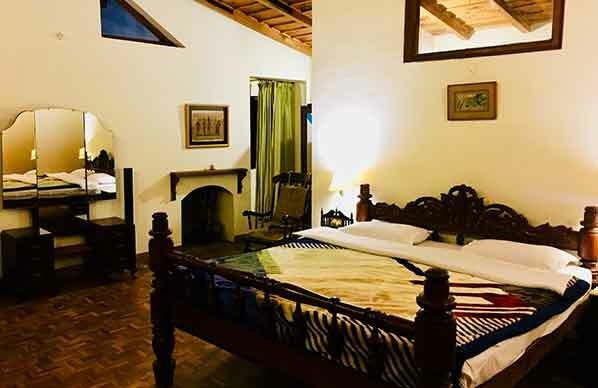 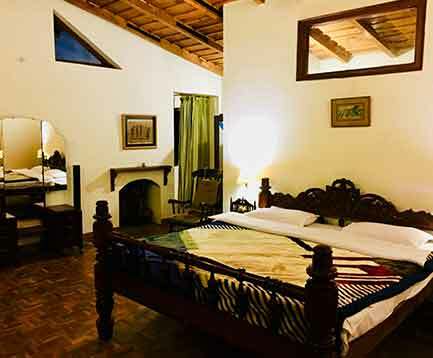 The rooms have a provision for tea / coffee, a fridge and have a spacious balcony / verandah which provides an ideal sit out in the morning / evening to enjoy a cup of tea / coffee while watching the sunrise, enjoy the scenic view of the valley and the garden, spot birds or just gaze at the stars. 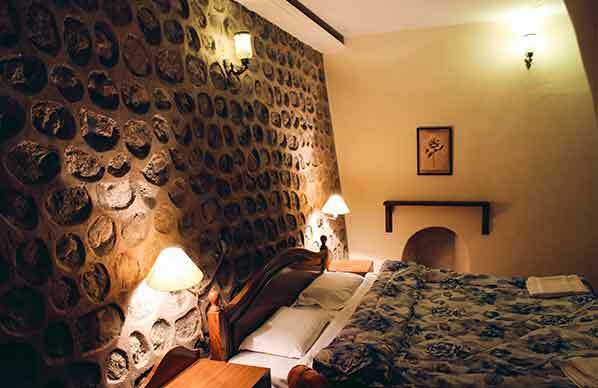 Each room also has an independent fire place. 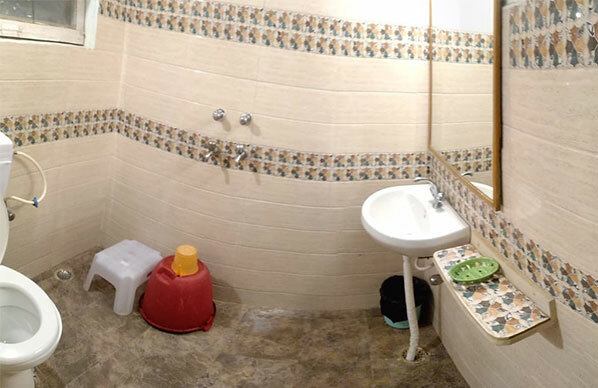 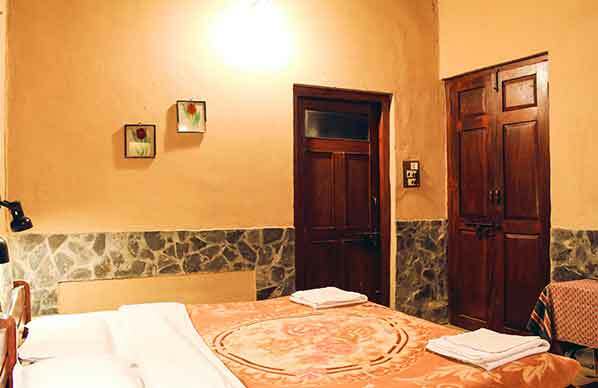 All rooms have an attached western toilet with Geysers and 24 hours running hot & cold water. 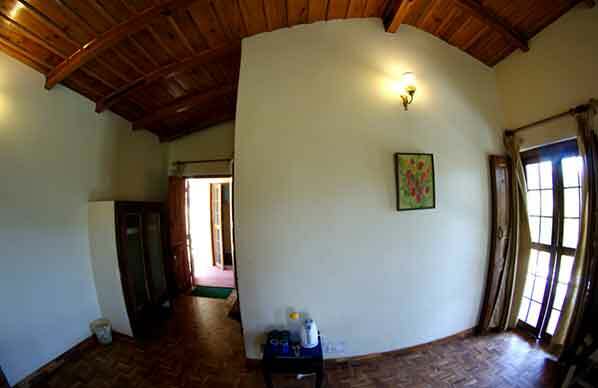 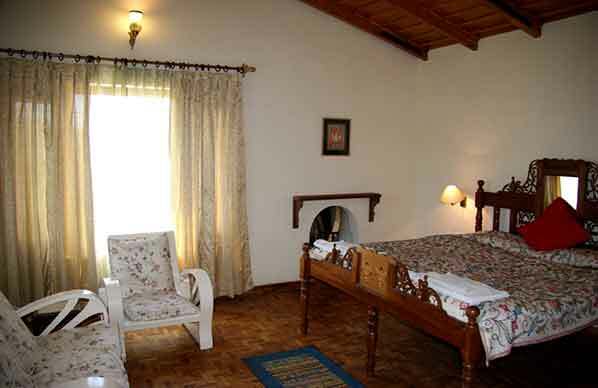 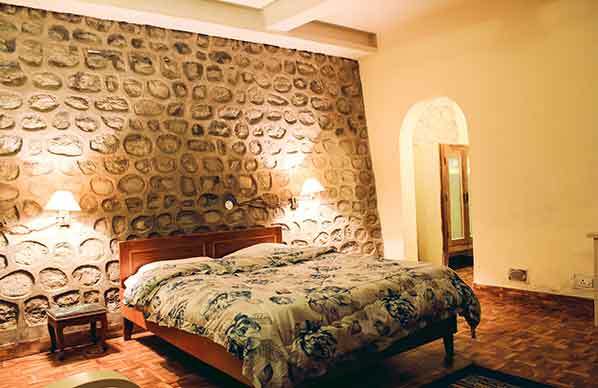 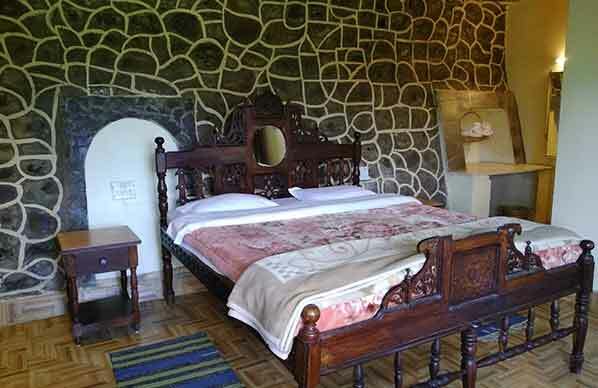 These are spacious rooms located on the ground and the first floor with a beautiful view of the valley. 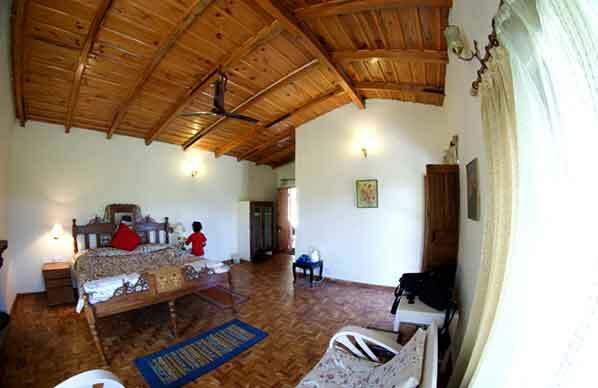 All the rooms have a large verandah facing the garden and the valley. 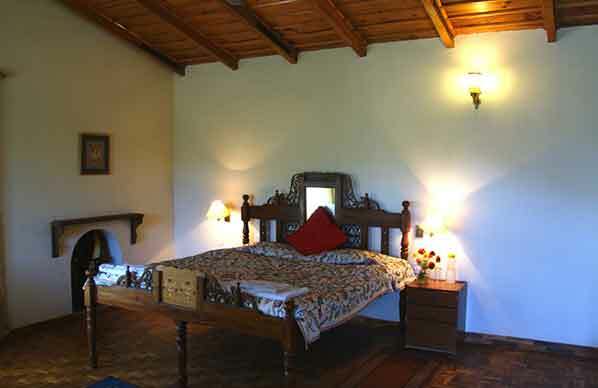 Each room has a double bed with enough space to place an extra bed. 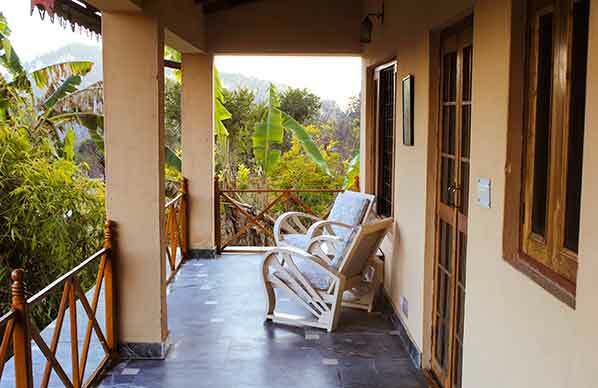 The sunrise view from these rooms has been a hot favourite amongst our guests. 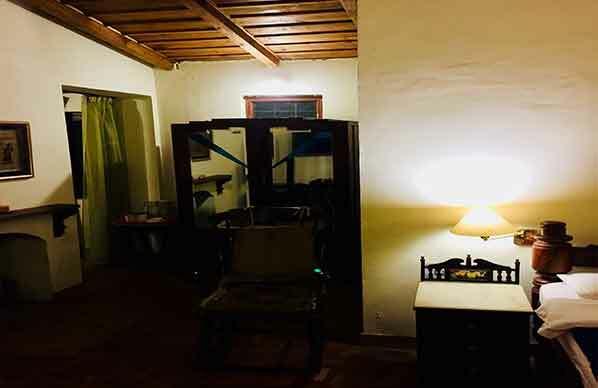 These rooms are located in the main hut. 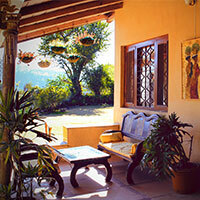 They are not as spacious as the others but have a lovely sit out overlooking the valley and are ideal for two guests. 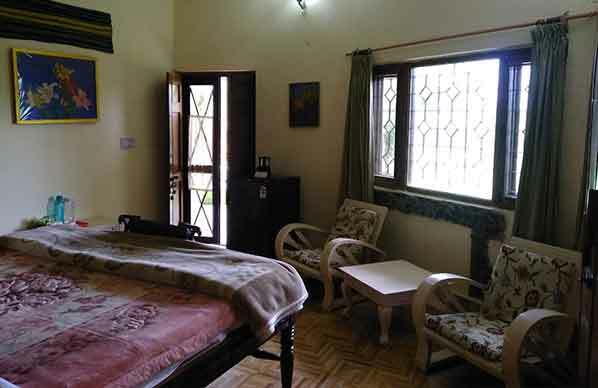 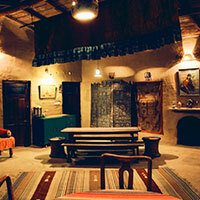 The rooms also have a provision for Tea and coffee. 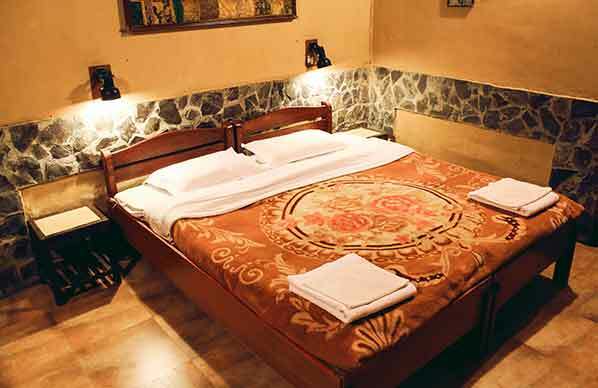 This room has all the amenities of the gold rooms along with being more spacious and has a bigger sit out. 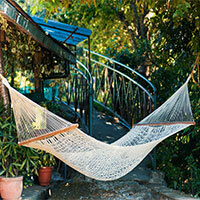 The room also has a cosy swing hammock at the sit out. 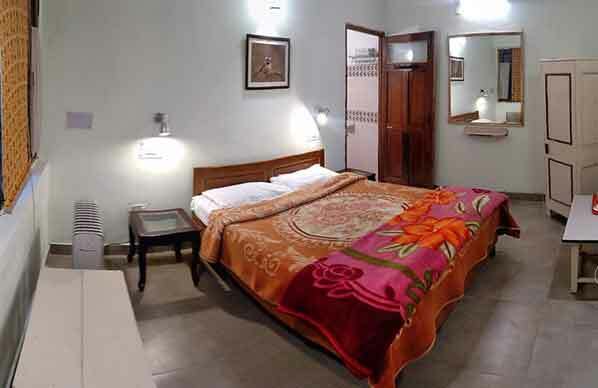 This room also has a Television with Tata sky along with a music system which the Gold rooms do not have.